SeeSaw, the new online TV service, has launched the next generation of SeeSaw to customers, offering enhanced functionality for viewers and premium content including a great selection of high quality British and international programming. SeeSaw customers will be able to rent individual episodes or full series of their favourite TV shows, as well as continue to access over 3,000 hours of free online TV on SeeSaw.com. From the previously announced BBC Worldwide deal, a wide selection of shows across comedy, drama, factual and entertainment genres will be available from today to SeeSaw customers. Some of the UK’s most popular comedy series will now be available and include Fawlty Towers, The Royle Family, Gavin & Stacey, I’m Alan Partridge and Only Fools and Horses. Dramas available on the service include the popular Cranford, Spooks and Torchwood, whilst non-fictional programming includes Louis Theroux, Planet Earth and Top Gear. SeeSaw will also be offering a range of US content and deals have been confirmed with MTV Networks channels Comedy Central and MTV. The deal with Comedy Central includes iconic comedy animation South Park from creators Matt Stone and Trey Parker. The MTV deal features a range of hit shows including The Hills, My Super Sweet 16 and Laguna Beach. With further studio deals to be announced in the coming weeks, SeeSaw will shortly be able to offer over 5,000 hours of online programming. The deals announced today supplement over 3,000 hours of archive and Catch Up content already available for free on SeeSaw. SeeSaw has previously announced content from BBC Worldwide, Channel 4, Five and a range of UK indies for shows ranging from Classic Doctor Who to Doc Martin, Neighbours to The Apprentice, Shameless to Footballers Wives. 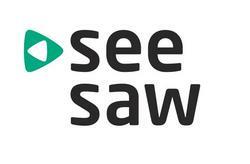 SeeSaw is the online TV service from Arqiva. SeeSaw is owned by Arqiva, the communications infrastructure and media services company who secured the technology and assets from Project Kangaroo. As a leading provider of digital networks, Arqiva has extensive expertise and experience in delivering high quality content through terrestrial and satellite broadcasting in the UK. SeeSaw offers a range of content supplied by UK and international broadcasters, independent production houses and sporting bodies. Further programming will continue to be added to the service over the coming months. Programmes can be rented for 30 days, with 48 hours to complete viewing once started. For series, the window is 90 days, again with 48 hours to complete the viewing of individual episodes, once viewing has commenced. Customers will be charged £1.19 per episode and there will be some promotional activity at 99p per episode. Series’ prices will range from £3.99 to £17.99 according to the number of episodes in the series and the recency of the content.